We like to read news or contents from our favorite sites daily. But following the individual content site for getting latest or trending information is a time-consuming and tiresome task. 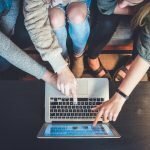 You can’t just surf each site for your different topics of interest. To overcome this situation, there are hundreds of news aggregators or feed readers available in the market which ultimately helps you to get all the current news and content from various channels into one unified dashboard. As I have said there are hundreds of this kinds, that’s why today I am here with a generic list of best news aggregator or RSS feed reader for Linux users mainly. As we know that Linux has a lot of choices in this regard, but here I will only discuss Best 20 RSS feed readers or news aggregators for only Linux nerds. Remember this list of best news aggregator is not any particular order and all the features are not included except important one. Akregator a powerful and easy to use open source RSS reader for KDE desktop environment. Though it comes pre-installed with KDE environment, still you can use it on any Linux distros. Akregator let you have latest and trending news, blogs from RSS/Atom-enabled websites. Moreover, it comes with an integrated web browser – Konqueror for easy reading or adding the feeds. RSSOwl is one of the best news aggregator and RSS feed reader for Linux, Windows, and MacOS. 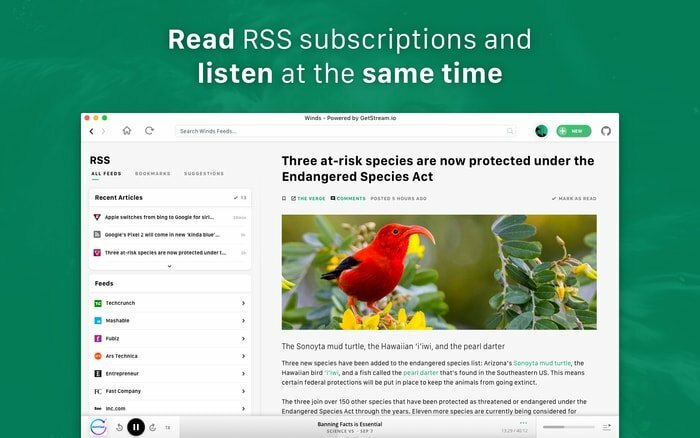 It’s a free, cross-platform and open source RSS feed reader with easy to use and simple, intuitive interface. It helps you to organize unlimited feed channels under various categories with instant search functionality. 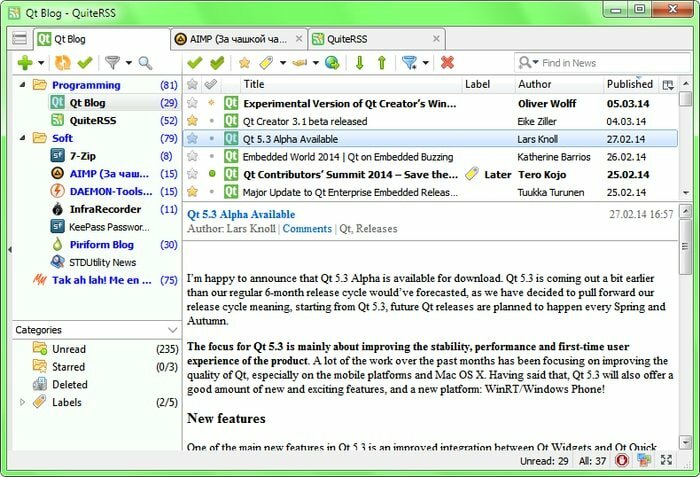 QuiteRSS is a free, open source and cross-platform RSS feed reader for Linux, Windows, and MacOS. This news aggregator is written on Qt/C++ and lightweight with a simple interface. It provides lots of features including adblocker, proxy integration, system tray integration, and a well-merged web browser. You can install QuiteRSS by using the following PPA. 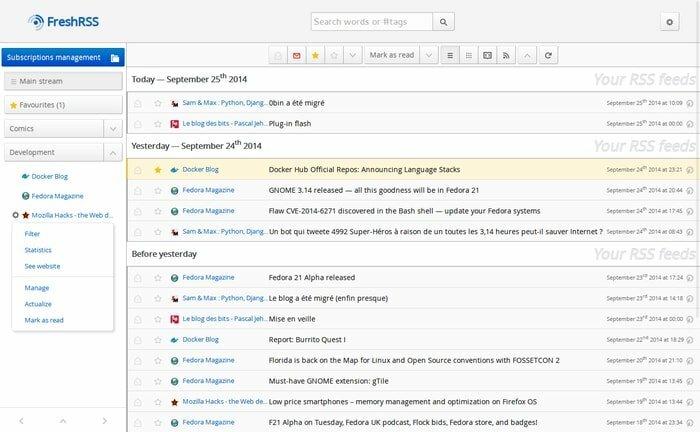 Evolution is an oldest and professional Linux email client with native RSS feed support. This Linux app is developed under Gnome project with easy to use and simple interface. It’s available through the Ubuntu software center or any other Linux software repository. 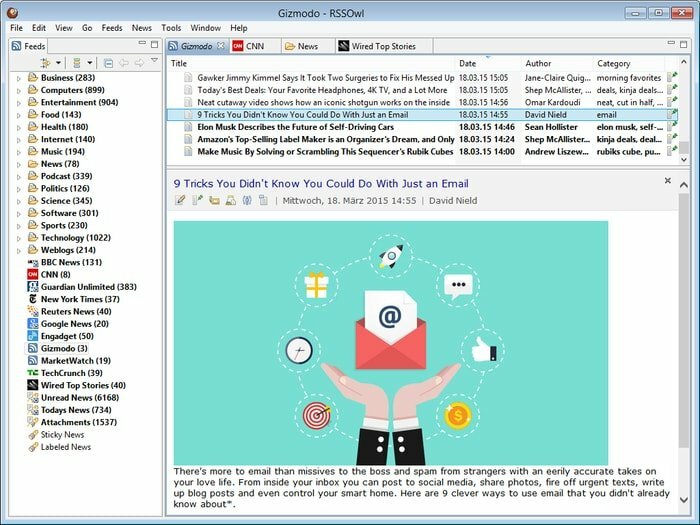 Besides being a Linux email client, this app offers basic RSS feed reading capability with sync support and offline reading advantages. 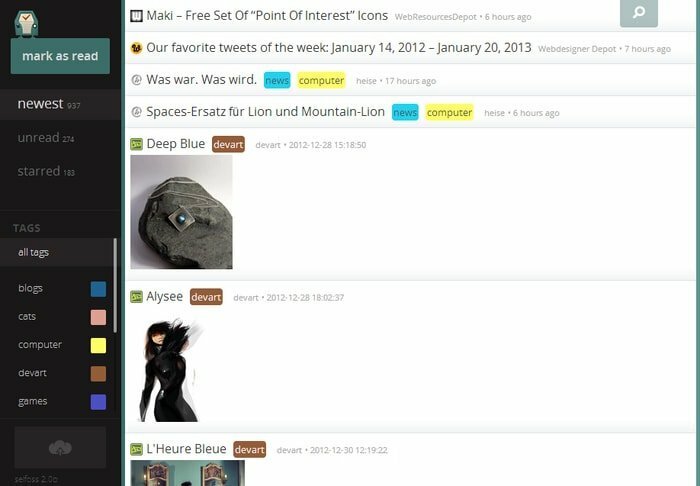 FreshRSS is web-based RSS feed reader and news aggregator for Linux. It’s free, open source, blazing fast and powerful feed reader. It supports multi accounts with a command line interface. FreshRSS is self-hostable, responsive and easy to use for all type of users. You just need to install LAMP or LEMP stack on your system to use this news aggregator. For download and installation process, please follow the GitHub page. Newsroom is another best news aggregator based on Command Line Interface for Linux system. This RSS feed reader also comes free and open source. It offers sleek modern design and supports cross-platform including Linux, Windows, and MacOS as well. It also supports live podcasting! If you used Feedly in your Android or iOS device “Winds” will be your next choice for your Linux devices. “Winds” has beautiful and eye-catching UI with web support. You can use this RSS reader in your windows, Linux or Mac device. Moreover, you can also download the software AppImage and install. 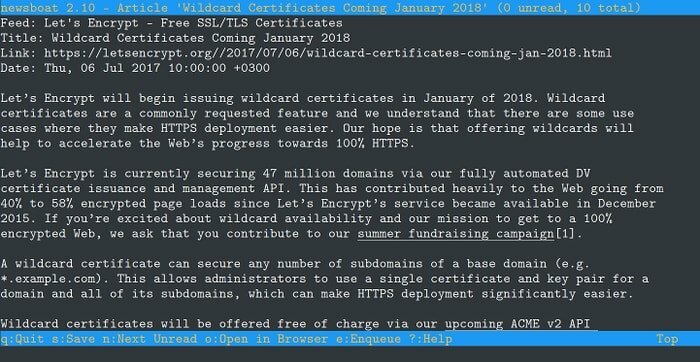 Canto is yet another best news aggregator based on command line interface. It’s free and open source Atom/RSS feed reader which is concise, lightweight and colorful. This feed reader is minimal but extremely powerful and flexible with information packed interface. 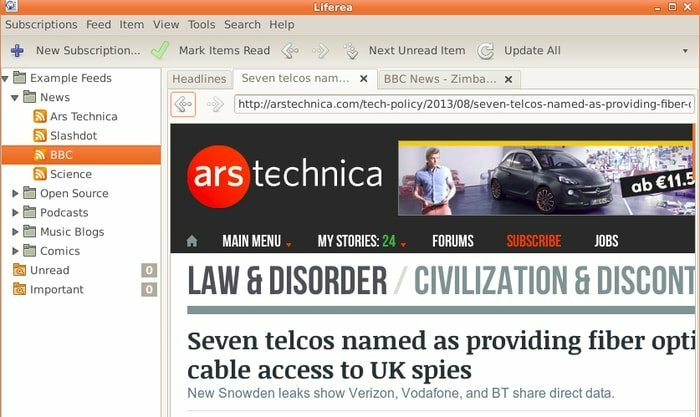 Liferea is a beautiful, simple to use and open source news aggregator and RSS client for Linux. You can easily keep track of various content RSS feed in one place so that you don’t miss any vital updates of your favorite collections of blogs, news, etc. This news aggregator also let you read in offline mode that saves mobile data as well. Browse the web with tabs inside Liferea. 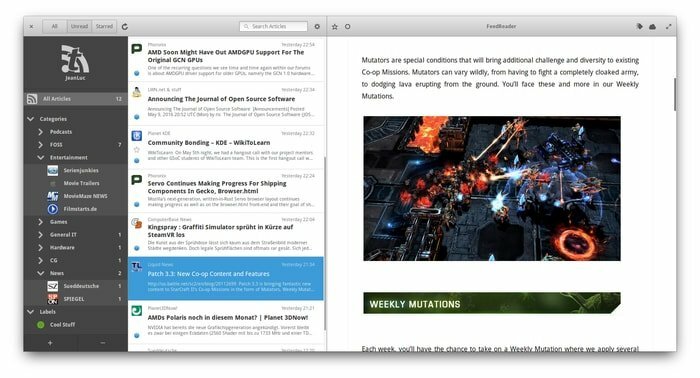 FeedReader is a modern and elegant RSS desktop client for Linux. It works with Feedly, Feedbin, FreshRSS, InoReader, Tiny Tiny RSS, Local RSS, etc. FeedReader can sync all the feeds across the devices. It provides an option to share the content via various social media site like email, Twitter, Telegram, etc. Moreover, you can use “save for later” services like Pocket, Instapaper, Wallabag, etc. for later reading. 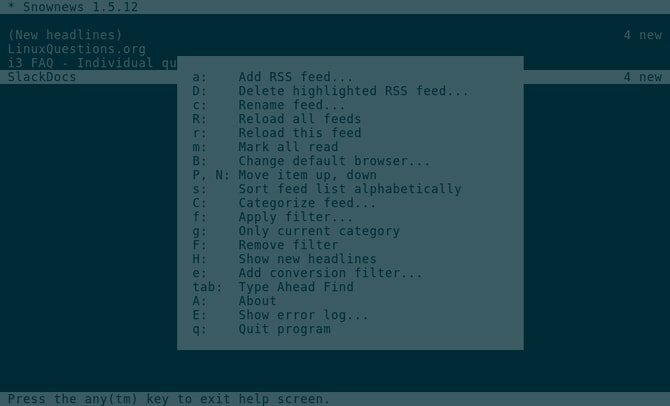 Unlike any other RSS feed reader, Newsbeuter is an open source RSS feed reader for the Linux Terminal lover. If you are a system administrator or love to work on Terminal for a long time, then Newsbeuter is the best fit for you. It helps you to get all the news and blogs through an easy to use one single configuration file. This file can be taken from one computer to another which ultimately ensures easy migration of your all the feed channels. 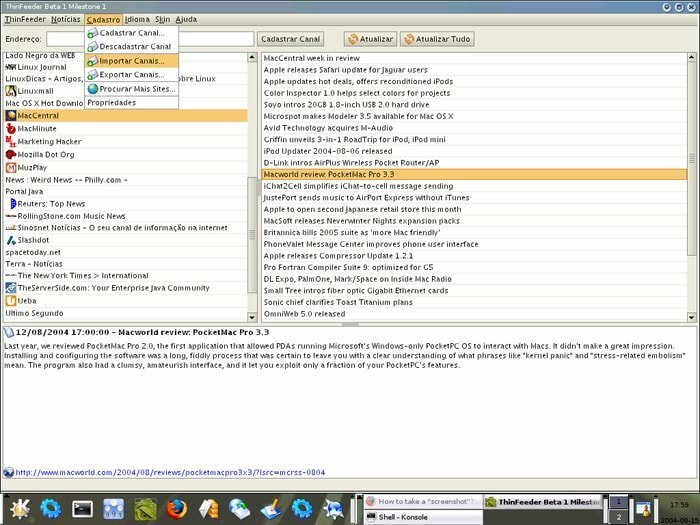 Newsbeuter is compatible with Linux, MacOS, FreeBSD and other Unix based system. Tiny Tiny RSS is a bit different RSS feed reader than any other news aggregator in the market. This feed reader app is not a standalone or local software instead; you have to install it on a server or cloud platform. The main aim of Tiny Tiny RSS is to give to access all your feed channels from any locations or any devices. Here in this app, you get all your liked news and contents in real-time mode. It offers a lot of features including feed syndication, theme and plugin supports, feed or news aggregation, multiple account access, etc. Selfoss is a free, lightweight, multipurpose and open source RSS feed reader developed on top of PHP programming language. That’s why it’s self-hostable script which can be installed on a home server for mash-up, live streaming, and aggregating news content. It’s mobile compatible via app system for Android, IOS and other devices. Newsboat is a fork of Newsbeuter and also text and command line based RSS/Atom feed app for Linux system, FreeBSD and MacOS. Snownews is free and open source command line RSS feed reader for Linux, BSD, OS X (Darwin), Solaris and other Unix based system. 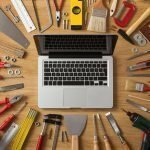 It’s simple to use, blazing fast, resource friendly and integrates well with other command line tools. OpenTICKR is just another best news aggregator for Linux desktop environment. You might have seen scrolling news on TV channels. 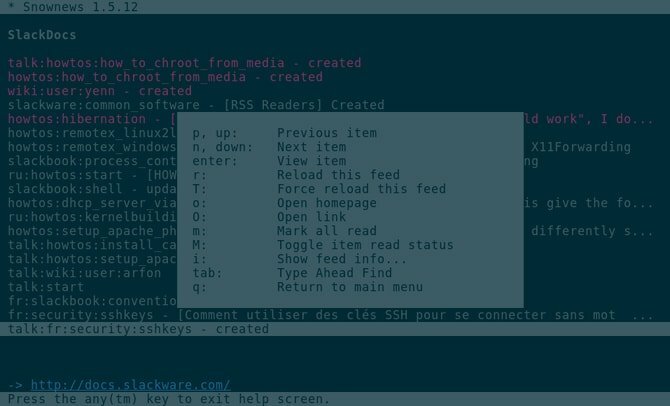 This open source RSS feed reader does the same job on your Linux desktop. This news feed app is based on GTK+ and developed based on the C programming language. It offers fast and smooth scrolling of news feeds. Follow the official download page for more installation options for Ubuntu and other Linux distros. 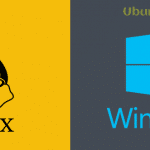 MiniFlux is another simple but effective best news aggregator for Linux system. It’s a free, customizable, fast and open source feed reader which supports various file format like RSS, Atom, JSON, etc. This app is developed in GO programming language and uses Postgresql DB. MiniFlux supports multiple post formats like regular feeds, videos, music, images, podcasts, etc. 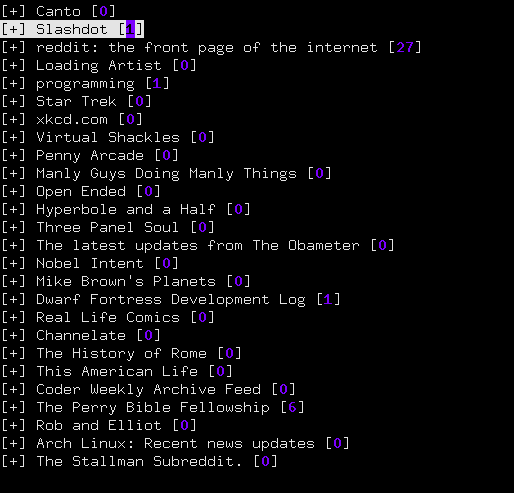 ThinFeeder is free and open source RSS feed reader for your Linux desktop. It’s simple yet powerful and customizable tiny RSS/Atom based news aggregator. Moreover, it supports cross-platform system that runs on all the major Linux distros and Windows OS. It’s fast and resources friendly and offers all the standard features that a news aggregator or feeder must have. 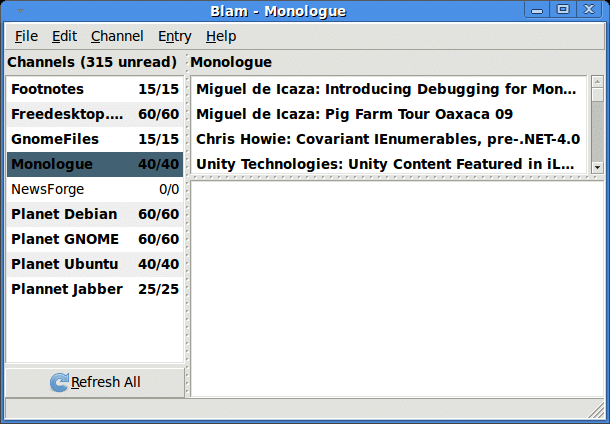 Blam feed reader is one of the best news aggregators for Ubuntu Linux. It can manage both RSS and Atom feeds. It’s simple, resource friendly and integrates well with Gnome environment. The importance of news aggregator or RSS feed reader is unmeasurable; especially it comes handy when you follow many websites and blogs for regular content or news. Moreover, some best news aggregator offers you to save the content for offline access which indeed provides a great advantage to readers. Is this list of best news aggregator and RSS feed reader helpful? If so, please take a moment to share it on your personal and professional social media. Moreover, Let me know if I forget to include any important news aggregator or RSS Feed app here. And don’t forget to share your suggestion and experience in the comment below.